Like in Preghiera di Sasso and Diapason's case, these bands from near Bozen are always mentioned together due to their only release, a very rare split album released by a small local label in Alto Adige in 1978. Both played a mainly instrumental keyboard-led progressive, though Emphasis had some English-sung vocal parts, and the album has four tracks on each side. 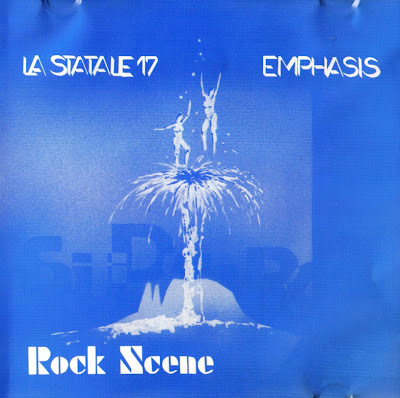 La Statale 17 had some interesting jazz-inspired guitar parts in their tracks on side 1, Emphasis have some Genesis influences in their tracks, though the keyboards sound is rather thin and the overall recording quality is far from perfect.